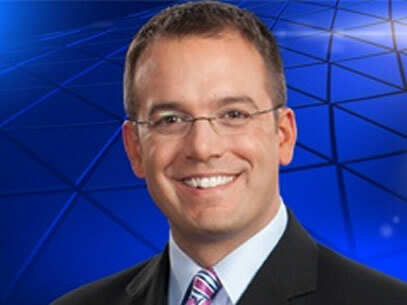 During his tenure at WISN 12, Patrick has traveled extensively, providing live reports from the funeral of President Ronald Reagan and the Space Shuttle Columbia disaster. During the 2004 presidential campaign, Patrick interviewed numerous candidates, including Howard Dean and John Kerry, as well political activists like actress Meg Ryan and Robert Kennedy, Jr. He made a national appearance on ABC’s “Good Morning America,” while taping a behind-the-scenes news series with Charlie Gibson, Diane Sawyer, Robin Roberts and Tony Perkins. Patrick came from WOLO-TV, the ABC affiliate in Columbia, S.C., where he was a news anchor and reporter. He has received several awards from The Associated Press and the Wisconsin Broadcasters Association (WBA) for spot news, education and feature reporting. Patrick graduated with honors in journalism from Northeastern University in Boston, Mass. Patrick enjoys making public appearances and has emceed such notable events as the American Red Cross Braveheart Awards and the Small Business Times Health Care Hero Awards. He is an avid sports fan and currently lives in Milwaukee.